Benazir Bhutto (Sindhi: بينظير ڀٽو; Urdu: بینظیر بھٹو, June 21 1953 – 27 December 2007) was a Pakistani politician who chaired the Pakistan Peoples Party (PPP), a centre-left political party in Pakistan. Bhutto was the first woman elected to lead a Muslim state, having twice been Prime Minister of Pakistan (1988–1990; 1993–1996). She was Pakistan's first and to date only female prime minister. 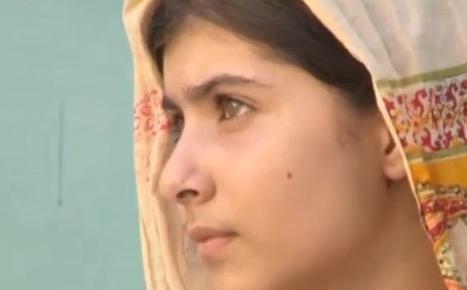 Pakistani schoolgirl Malala Yousafzai was a superhero long before she came to the attention of the world for being the target of a Taliban assissination attempt in October 2012. Zainah Anwar’s great grandfather, an Islamic scholar who divided his time between Saudi Arabia and Malaysia, married an Abyssinian slave girl he bought in Mecca. Her grandfather had a total of seven wives (not all at the same time).